Rebecca Koop has been a resident of Northeast since 1967. 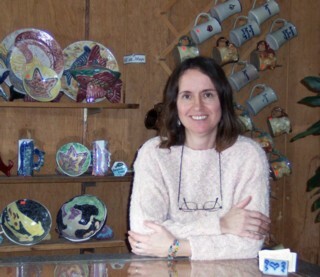 Her business, Back Door Pottery, was started in 1979 and she opened her present location at 3922 St John in April of 1986. 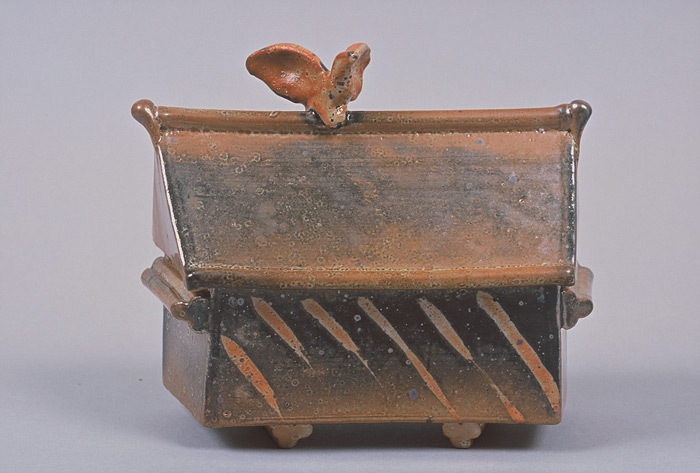 Rebecca received her BFA from the Kansas City Art Institute in 1979 and has been a full-time potter and part-time instructor of ceramics at William Jewell College from 1980 to 1999. She has demonstrated and marketed her work at Renaissance Festivals and Many Art Fairs for the last 21 years. 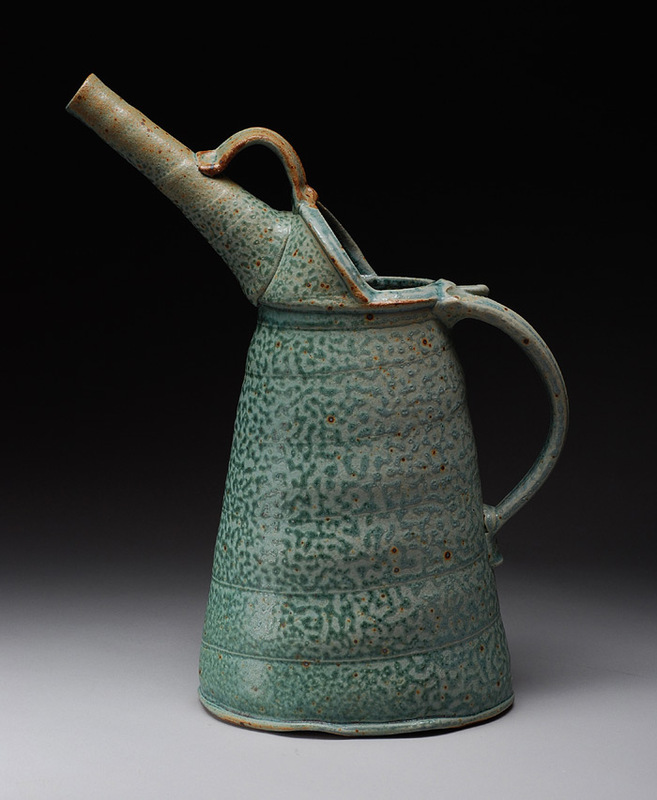 The majority of Koop's work is functional-kitchenware in Stoneware, Porcelain, and Terra Cotta earthenware. A love for Japanese Koi Fish has turned her focus to playful, colorful fish forms. Her work may be found in specialty shops and galleries around Kansas City. American Art Collector, Juried Competition of New Work. Jurors: Howard Eige, Jan Christensen Heller, Editor: Tom Palmer& Cristina Deptula. Copyright 2013. Editor: Tom Palmer & Aileen Kim. Copyright 2010. Riverbend Books, a division of Bookhouse Group, Inc.
copyright 2002 Kansas City Artists Coalition, Inc.
artwork featured "International Cone Box Show"
The pottery at 3922 St John is where all work is produced, with a small show room in the front. Weekly pottery classes are held two evenings per week and is open to beginners, as well as advanced recreational potters. Children's workshops and individual group sessions are held on an appointment basis. In June of 1999, Rebecca took on the position of Executive Director of the Northeast Kansas City Chamber of Commerce, where she had served on the board for five years. 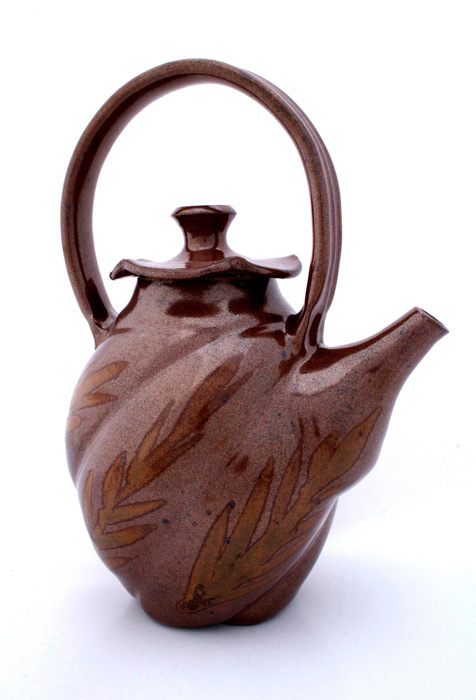 She was a founding member, and served on the board of the KC Clay Guild for ten years. She is an active community supporter and volunteer for the annual Historic Northeast Fall Festival. She supported renovations of the Concourse park fountain, and is the coordinator of the Northeast Cultural Arts Commission's traveling art exhibit, titled "Cultures Without Borders". We accept personal and Cashiers Checks. Prices do not include shipping and handling. Delivery times vary. Please allow at least 3 weeks to instock pieces, and 8 weeks for custom orders. Contact us for shipping costs to your zip code. Prices subject to change. 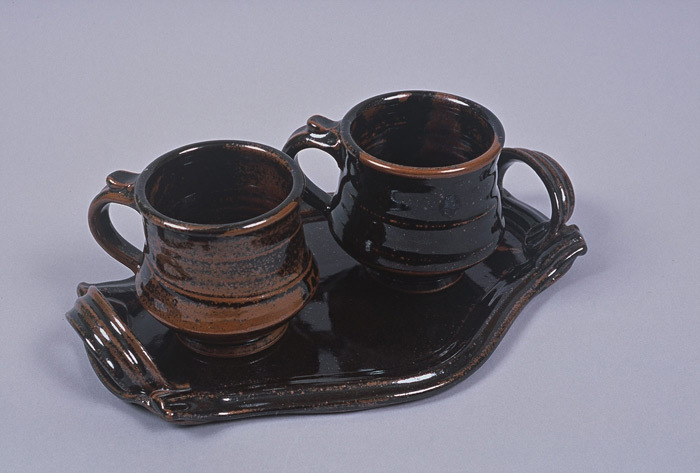 Most Assorted Stoneware and Majolica Photos by Janet Ryan.